Roads affected are: Greaves Street, Freedom Road, Freedom Court, Creswick Street, Creswick Way, Holme Close, Walkey Lane/Forbes Road, Kirkstone Road, Normandale Road, Langsett Crescent, Langsett Close, Langsett Rise, Langsett Grove, Cundy Street, Grouse Croft, Grouse Street and Burnaby Court. We are in the process of rescheduling this work to start as soon as possible. 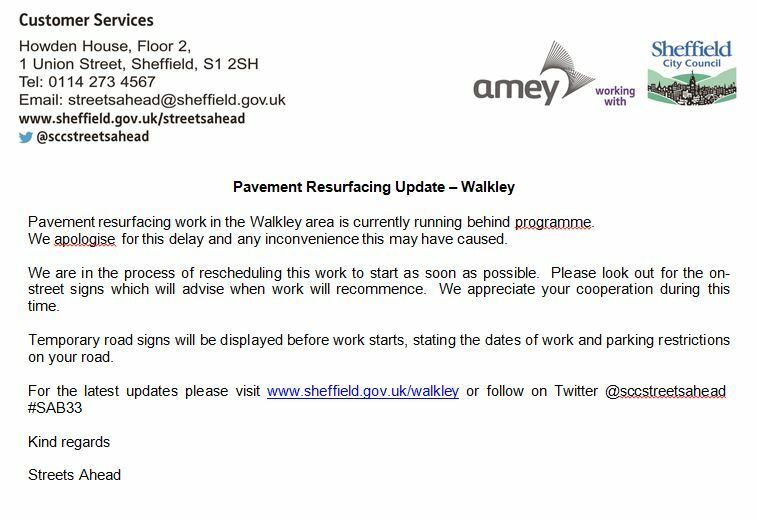 On-street signs will be updated to advise when the work will commence. 4 Applications received. 3 Grants awarded. 32 Applications received. 18 Grants awarded. 16 Applications received. 9 Grants awarded. 12 Applications received. 8 Grants awarded.